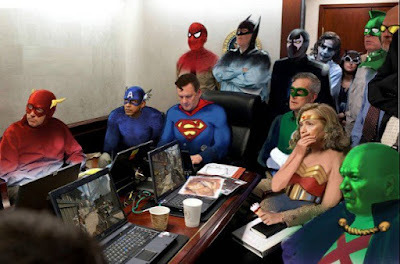 I was shocked to find out that the picture floating around of the U.S. President in the situation room watching the events unfold in Abbottabad were doctored. They lied damn it !! Unbelievable. However - the truth can not be suppressed. Here now is the un-retouched, original photo of the situation room on that fateful, historic night with the President and his staff. This explains a lot.